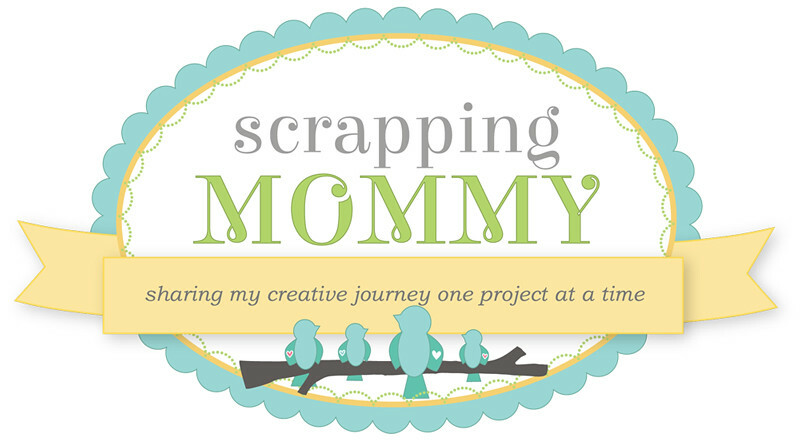 Scrapping Mommy: My Creative Time's February Stamp release BLOG HOP!! My Creative Time's February Stamp release BLOG HOP!! Hello friends!! Today is the February stamp release blog hop at My Creative Time and I have two fun project to share with you today. 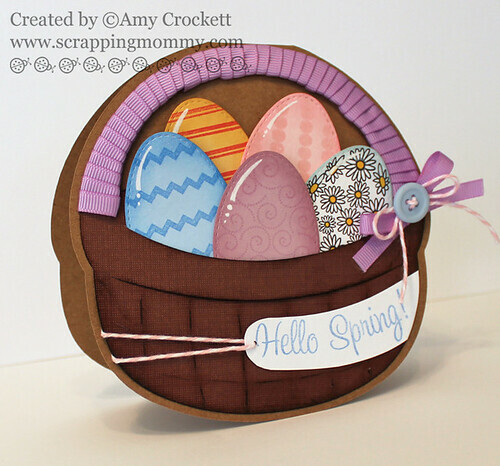 First up is a basket shaped card with some super cute eggs inside that are cut with the die that comes in the new Hello Spring stamp set. The basket is cut with the Cricut and the My Community cartridge at 4.75 inches. I used my Gypsy to weld the card base together. The eggs are stamped with the fun decorating stamps that come with the set. I added some ink to the edges of the eggs along with a little bit of white pen detail to add shine to the eggs. I tied some ribbon around the handle of the basket and added some twine from The Twinery and a button then I finished off the card with this fun "Hello Spring" sentiment. Did you know that with the clear acrylic stamps you can bend and curve a sentiment?? So much fun!! Here is the second project I have to share with you today. I used the Cricut and Sesame Street Elmo's Party cartridge to cut this fun little box. I used Cricut Craft Room to make an oval inside the handle instead of the Elmo silhouette. I stamped the new Spring Chicken Backgrounds stamp set on the box before I assembled it and then stamped and cut out this super cute bunny silhouette from the Hello Spring stamp set by stamp kissing it to the floral stamp in the Spring Chicken Backgrounds stamp set. It didn't turn out exactly what I was hoping for, but it is still cute. I added the Just4U sentiment and tied it off with some ribbon and twine from The Twinery. The flowers are just little circles I punched and then added some cuts with scissors for petals. I also used the cream Liquid Pearl Pen from Viva for the centers. So, what do you think?? Have fun and don't forget to leave a comment below for a chance to win!! Plus Emma has opened up her brand new online store that you can check out at this link: http://www.my-creative-time.com/ She will be having a sale until Friday, Feb 24th @ 11:50pm PST.......use the coupon code GRANDOPENING to receive 10% off your order! Amazing Amy! I love the card shape and how you highlighted the eggs!! Awesome!! HOLY MOLY!!!! YOUR projects are just AMAZING!!! I just LOVE the highlights on your eggs!!! WAY TOO CLEVER my sweet friend!!! You did an AWESOME JOB!!! ;) luv ya! Oh these are adorable. I love the eggs. They look so real. Love both projects, but the basket card, is right up my alley, love it! You did an outstanding job! Oh my goodness love the card and box great job on both!! Wow, your projects are gorgeous!! I love both of your projects. Thank you so much for sharing them. wow !!!!! your basket is sooooo cute! and ur cute bunny box too !!! HI;Love your card.I just ordered new stamp sets love them all. O my goodness the card I actually thought you used glossy accents on those eggs, the white gel pen really makes it look that way!! i love the treat box super cute!! HI just love the colors you used for your cards. Wow...you are one talented mommy lucky kids....your card is fantastic so cute...and your gift box...awesome! Your card and box are amazing!! I LOVE the basket with eggs. Fabulous job. These are the cutest rrojects :). Love them! Love your basket card!! I love how you put the ribbon on the handle of the basket, so cute!!! Love your eggs and the hightlights on them-very striking!! I love your box as well, so cute and just perfect for a little "basket" for the grandchildren or a friend!! Ok....I did not know that basket was on that cartridge. That is the second cartidge I learned something neat was on. What a fun project! I think this my might be my most education blog read yet! My hubby gifted a Cricut for Christmas and I have been exploring, I love this idea! Thanks! WOW your projects are amazing. Love the basket and the little container. The eggs are beautiful. oh my! both of your projects are so cute!! Amy, both of your projects are just adorable! I love your bright and cheery style!!! The chicken wire stamp looks so cute on the box! AMy ~ OMG! Your projects are so AMAZING! The basket card is just to INCREDIBLE! I LOVE how you layed the eggs in the basket and wrapped the handle with ribbon! CLEVER! Your little treat box it too CUTE too! I LOVE the colors you used ~ reminds me of a carrot! The flowers are such a CUTE touch too! Great job! What adorable projects!! I bookmarked that super sweet treat box...I LOVE LOVE LOVE it! Amy these are just toooooo cute. I love the basket and the way you made the handle is super cute. I am in total awwww of the box - that is just darling. Loving how it looks like the "farm" w/ the chicken wire. Great job. Simply amazing! That's all I can say! Amy, these projects are adorable! I love the chicken wire background stamp! WOW! Both projects are amazing. I love the ribbon on the basket handle and the box is just adorable! TFS. 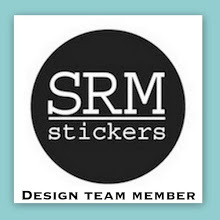 Amazing projects, love the blog. love if youd follow back. Totally amazing work. Love your projects and and the new release. just ADORALE Amy! the box is to die for! Really love the ribbon treatment on the handle of the basket!! Super cute card! You did an awesome job. I love both projects. Your card is so sweet and I love the ribbon wrapped handle on the basket. The pen detail on the eggs gives them so much dimension. Super cute projects! Love the highlights on the eggs. Both projects are super adorable love them!!!! I had to get all 3 stamp sets love them thanks for the great ideas!!!! oh my!! I love this basket and the box!! awesome!! love the colors and all the details!! thanks for sharing. OMGoodness! I love that little egg card! 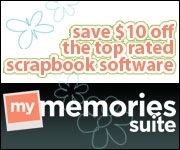 I am so going to scraplift that one. Fabulous little treat box as well. OMGoodness, how adorable are those??!! Thanks for the chance to win, too. Perfect shine on the eggs in the basket...so cute! I like the background stamping on your box and the little flowers are great! I love your card and you adorable box, thanks for sharing. Love the card and box! Thanks for sharing. I love both creations, especially the Basket card. I love how you added the "shine" to the eggs in the basket. So cute! AWESOME basket card!!!! Wow!! I thought that you had put Glossy Accents all over the eggs - LOL. WOW! Great projects. I love the card! Pinning it now! Wow!! I love what you did with the ribbon around the basket handle!! I love your little Easter box you made! I can't wait for my Hello Spring set to come in! Thanks for all the great ideas! Cute box, love the basket card! Those eggs are fabulous!! 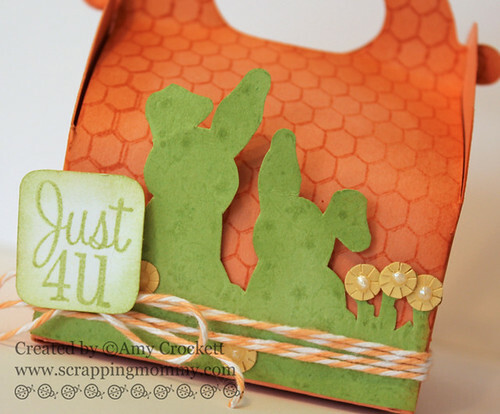 Soooooooo cute Amy, I love the basket card and the box, both gorgeous TFS! OMG...both of your projects look GREAT! I love them! these projects are FANTABULOUS!! cant wait to get my hands on this set! Holy Batman!! These are fantastic and so adorably cute! So much talent!! Thanks for sharing. I just love this adorable little box. REally amazing!! I think I just might scrap lift from you... if that is ok. these are way too cute!!! These are gorgeous, you did such a great job on your projects! Stunning projects!! I love that basket and how you wrapped the handle. The box is super duper cute with the chicken wire stamped background! So super duper CUTE!!! Love both projects!! Oh Amy.....AWESOME!!!! These are both just fabulous!!!!!! I am in love with your projects! Both are so adorable! I love that basket full of eggs! Great projects, just love them! Thanks for sharing. Oh my gosh.... LOOOOOOVE these both! You absolutely knocked it out of the park... AMAZING!! Amazing projects, great detail in the eggs. Both of your projects are wonderfipul, but I am drawn to the basket of Easter eggs...TFS! One thing I love about blog hops is finding new sources of inspiration, and yours is no exception! Love your basket card...looks like the Easter bunny just dropped it off! Your projects turned out so cute. These stamps are wonderful. Great projects. Loved you card and how you shadowed and highlighted the eggs. It really brought them to life. 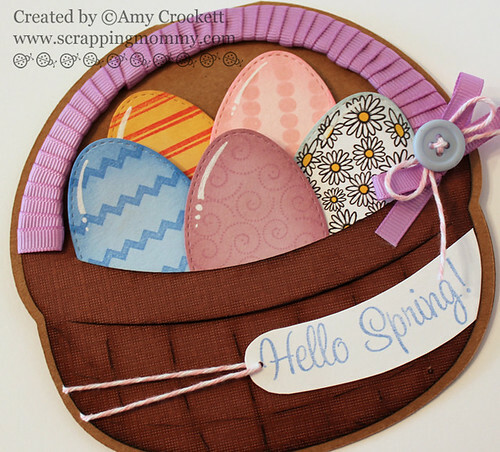 Wow.. to both projects.. love the ribbon twisted around the handle on your basket along with the patterned papers for the eggs. Your Bunny Box is just adorable. love the chicken wire pattern you have used for the box itself.. thanks for sharing... kerrybaity@yahoo.com.. So cute Amy!!! I LOVE the box you made!!! Oh, your Easter basket card is soooo cute!!!!!!! I love it. Amy, that little bunny box is sooooooo cute! Love how you did the little flowers too! Very cute idea with the basket and eggs and the bunny box is adorable. Super cute!!! I really love the eggs in the basket. Fabulous projects! I like the white highlights on the eggs. WOW!! Beautiful. Your choice of colors makes everything look so festive. Your projects are great! The basket is beautiful and I love the way you added the ribbon on the handle. Those eggs are stunning! You really out did yourself on these. Thanks for sharing! I have my fingers crossed on this giv-a-way! Id love for this to be my first win ever. I absolutely love the basket card. I LOVE the chicken wire stamp!!!!! Your projects are simply adorable! So creative! What great cards. So cute. Love the way you used the ribbon on the card. Cute box. woooah!! love these projects! you did such a great job! Amy, OMG!!!! These are ADORABLE!!!!! AMAZING!!! Beautiful projects! Love everything about your creations! Love your cute projects. Clever trick with gel pen. The eggs look so glossy. I can't say it enough I just love the chicken wire background. Great projects! I especially like the basket with eggs. Fantastic projects!! Wow..I love the basket of eggs:) aweome job! 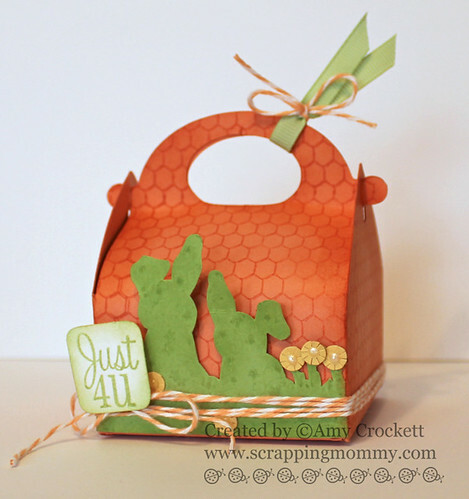 Love the basket shaped card and your bunny box is so cute! Didn't know these cartridges were so fun. Love these two projects. Fun release. WOW Great Card and box. I love how you used the background stamp on the box. LOVE the first card! Those eggs look so 3-D!! And great tip about bending the sentiment stamp to fit the banner...! OM Gosh Amy, the Eggbasket is breathtaking, the white on the Eggs almost looks real..like they are shiny!!! You have done Emma's products proud!! what amazing projects love your easter basket one! Wow what beautiful projects. Love them both. Love your projects, Amy. The basket card is adorable and I really like how you wrapped the handle in ribbon. Your box is so sweet, too. I just love those little bunnies. OMG... how creative. Now I have to add that Elmo cart to my wish list. Beautiful job showcasing these adorable stamps! Um.... WOW!!! That's what I think! You are soooo creative! I absolutely LOVE how you made the basket card, and totally changed up the Elmo box - AMAZING! I am not sure what you were hoping for, but it looks amazing! As does the card. Thanks so much for sharing. I just love the shape card...its just too darn cute. These are super cute!!! Love the ribbon on the basket handle! Great job! Thanks for sharing and the opportunity to win. Loved the basket of eggs card. I was wondering what you used to make the eggs shiny! You little tricker! Just a pen, you did an amazing job. Ooohhh, I love the basket with the eggs, so darling! The little shiner on the eggs and the ribbon on the basket...what a neat idea! Thank you for sharing! What an awesome box! Love the background chick wire! Oj I love them both but that basket with the ribbon handle and those adorable eggs are just toooo cute. I love the colors on the box, especially the chicken wire texture! very cute shaped card and basket...thanks for sharing. I love love love your projects. The easter egg basket is adorable. LOVE the eggs. Wow, awesome basket card! The box is adorable, too. I love the oval cut out for the handle. I'm so glad you joined the DT! Awesome projects! I love how you put ribbon on the basket handle! Great idea! Ok, I LOVE the cute box. The card is adorable! These two projects are perfect! I really love this gable box and the color of paper is so pretty! Thanks for sharing! I love looking at all of your designs on Peachy Keen and on My Creative Time. I especially LOVE those 3D Birthday cupcakes! Awesome projects! You did a fantastic job!